We bring Heather back to chat about a broad swath of fantasy RPGs. If your group has been playing tons of D&D 5e, and wonder what else is out there we cover lots of systems. 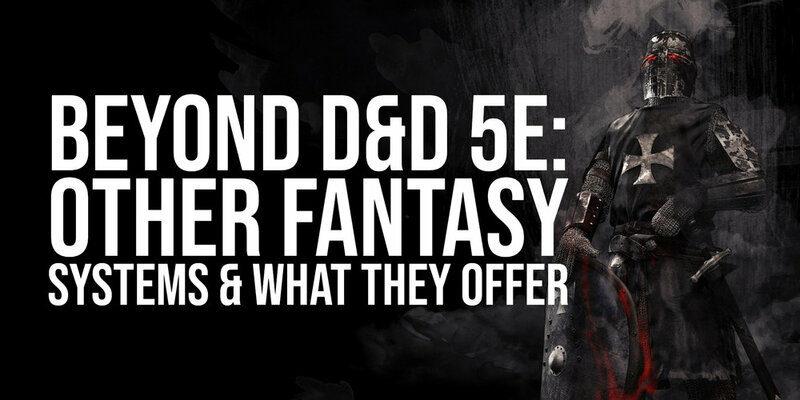 We cover dice-less systems like Amber and Dread, low-dice systems focused on story and roleplay, and more tactical and crunchy systems that are popular and available. We even sneak in a Fantasy / Sci-fi hybrid of ShadowRun. Also, In the end, Rich exposes his fursona as a bear.